Miguel owns a Windows 8 laptop, upgraded to 8.1. But "the touch screen…began to fail sometimes, until it failed completely." First things first: If you haven't done so already, reboot. Yes, it's obvious, but so many people don't think about it, and it fixes so much. But it doesn't fix everything. So if the problem remains, follow the suggestions below. I'm assuming your PC is running Windows 8 or 8.1. Grease and dirt can confuse or block the screen's sensors, so clean the screen. If you're still having problems, use Windows 8's Calibration tool. Go to the Search Charm and type calibrate. Select Calibrate the screen for pen or touch input. If the Reset button isn't grayed out, click it. Otherwise, click Calibrate and see if the resulting program works. Still having problems? Time to try reinstalling drivers. At the Search charm, type device manager and select Device Manager. Expand the Human Interface Devices section. 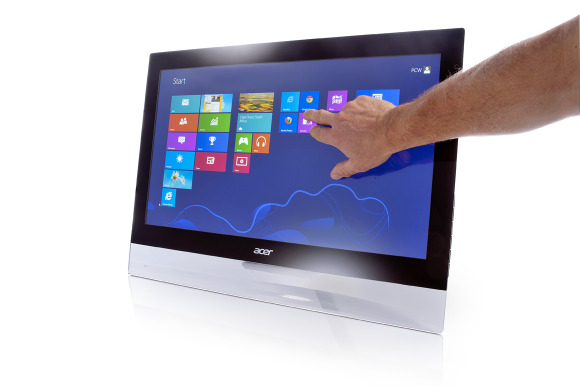 Find the touchscreen; it's probably called HID-compliant touch screen. Right-click it. If the pop-up menu says "Enable," there's your problem. Click it. Otherwise, select Update Driver Software. For the location, try C:\ for a full search of your hard drive, making sure Include subfolders is selected. If that fails, try again. 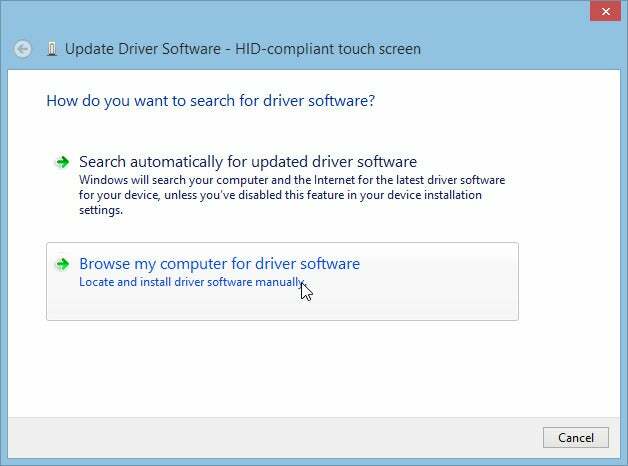 But this time, select Update Driver Software, then Search automatically for updated driver software. And if that fails, right-click the touchscreen again, select Uninstall, and confirm. Then reboot. This will automatically reinstall the touchscreen driver that came with the computer. Still no luck? Go to the manufacturer's website and see if there's an updated driver there. But make sure it's for your model. It's possible that your driver is just fine, but another setting in Device Manager could be blocking your touchscreen. Back in Device Manager's Human Interface Device section, right-click USB Input Device. (If you find more than one of these, try each one.) Select Properties. Click the Power Management tab. Uncheck Allow the computer to turn off this device to save power. That might solve your problem, but at a cost. Your computer will use more power, shortening battery life. If none of these pan out, it's probably a hardware problem. Bring it into a shop to have it fixed.